Business communication has evolved from the exchange of purely text based documentation via post or telex to a multi-media scenario: Today unstructured, semi-structured and highly structured documents, as well as images, audio and video data are part of business processes and transmitted and received via various channels. To cope with these requirements INTERCOPE developed a new Single Window Multi- Channel messaging kernel which can handle virtually any type of content. Protocol and format specific functions are implemented on top of this engine in a layered approach. 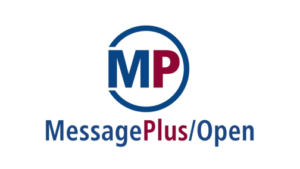 This architecture allows INTERCOPE to add new communication channels and format specific message processing functions very quickly and without the need to change the system kernel. The solution is mainly used by large organizations processing high message volumes in mission critical environments. Communication interfaces have been so far implemented for Fax, Fax over IP, email, SMS, Telex, and dedicated financial networks including SIA and SWIFT. Additionally network connections, document formats, and other type of content are implemented based on the technological evolution and customer requirements.